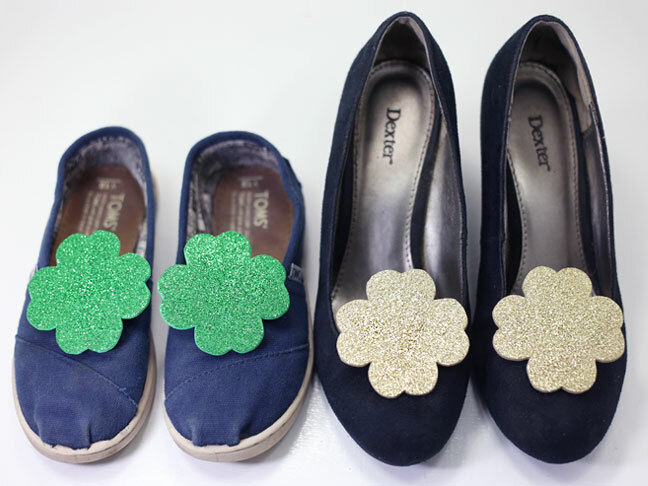 I’m getting ready for St. Patrick’s Day with these sparkly DIY shamrock shoe clips. 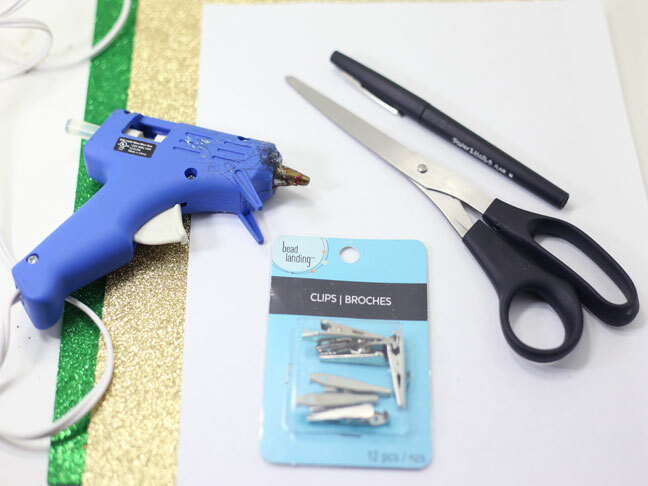 I made this green pair for my kiddo’s kicks to ensure they’re pinch-proof, and I can’t wait to make a gold pair for myself to glam up my favorite work heels. Step 1: Save (control click on a Mac, right click on a PC) the template below. 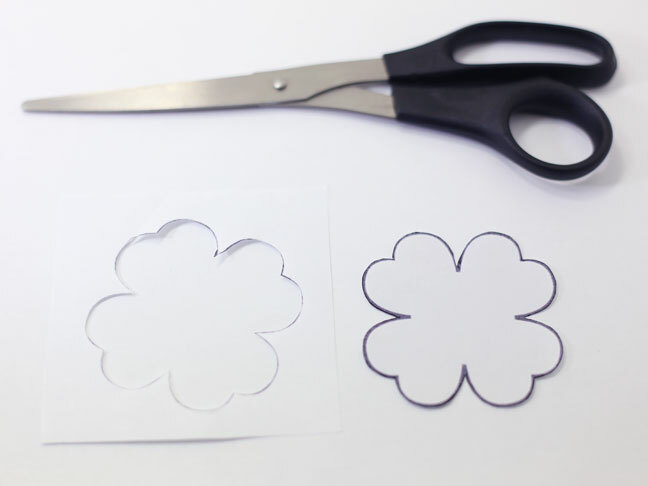 Step 3: Place the shamrock shape on the back (a.k.a. the non-sparkly side) of the foam sheet and trace with a pen. 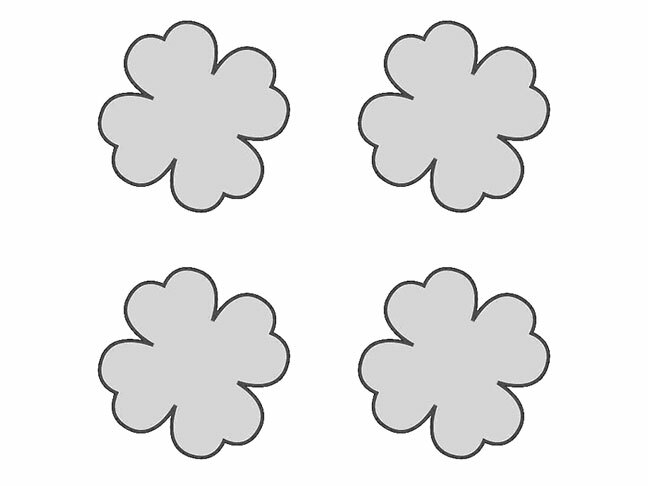 Repeat, so there are two shamrock outlines on the foam. 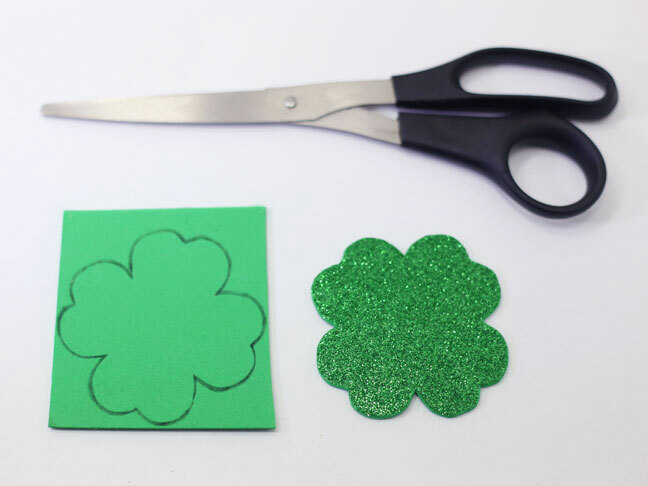 Step 4: Carefully cut out the foam shamrocks. 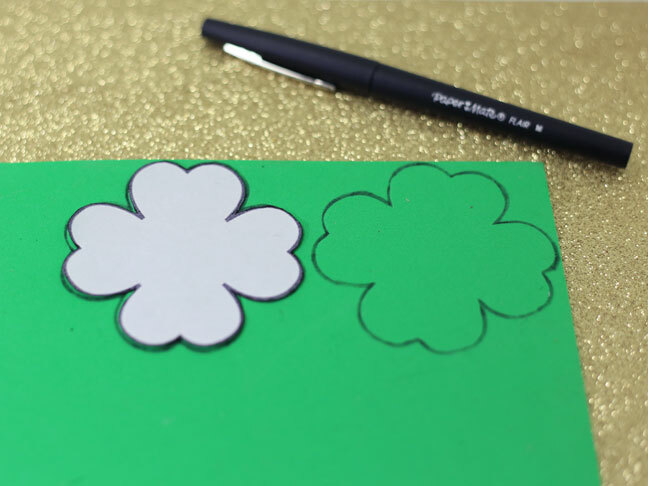 Step 5: Squeeze a strip of hot glue onto the top of a clip and place the clip, glue-side down, onto the center of the back of the foam shamrock, at the top or in the middle. 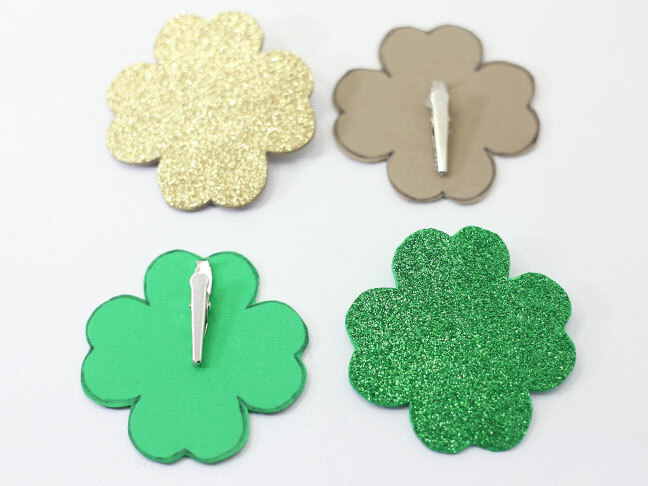 (The lower you place the clip, the more of the shamrock will stick up above the top of the shoe.) Repeat with the second foam shamrock and a second clip. 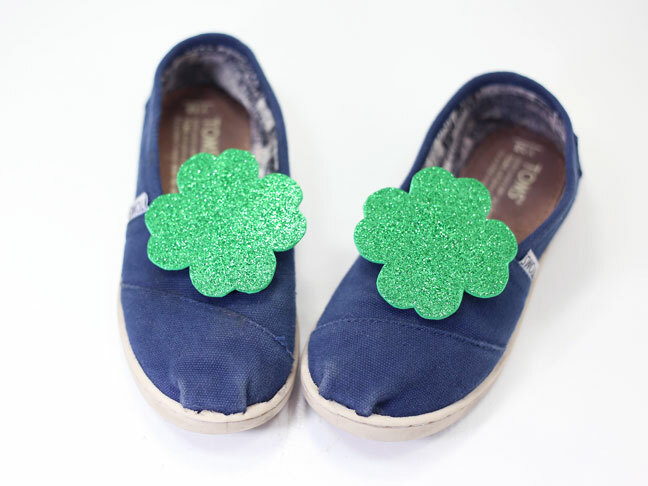 Clip onto shoes for good luck all day long! 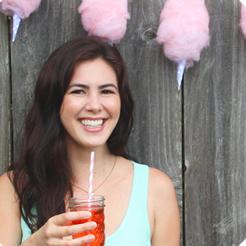 Kia Nishimine is a San Francisco-based writer, crafter, baker, and photographer who shares pretty DIYs, sweet recipes, and more on her blog, With Lovely,. When she's not whipping up a batch of macarons or homemade body butter, she likes to spend her time babysitting, eating sushi, perusing Pinterest and cuddling with her two wonderful pups.